The work elements include: construction of over 48,600 linear feet of soldier and CIDH piles to support both timber lagging walls and concrete floodwalls. During construction, more than 4,500 cubic yards of concrete was placed to construct the floodwalls and nineteen 12’ x 12’ pre-cast reinforced concrete box culverts set underneath Story Road. The work involved in channel widening and sediment removal required over 100,000 cubic yards of in-stream excavation. 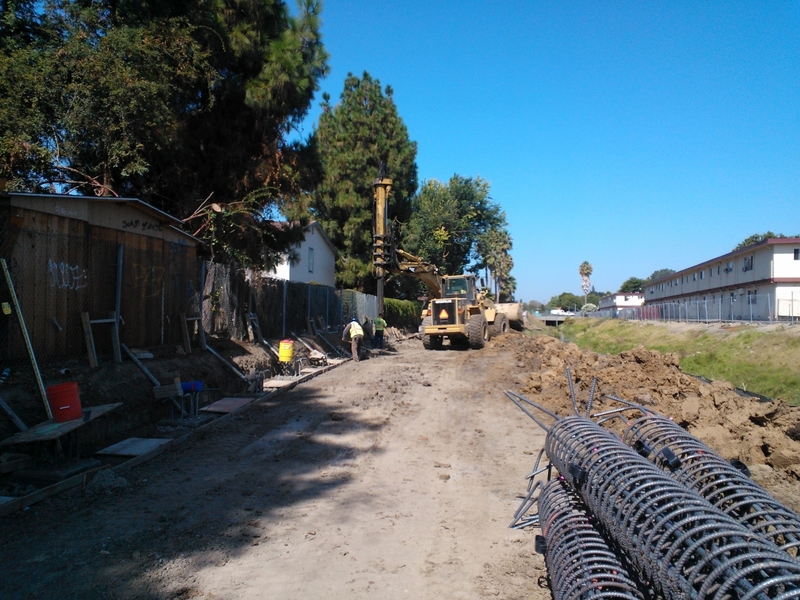 Other project features included construction of access ramps, utility coordination, placement of 17,500 tons of rock slope protection, relocations and shutdowns of the overhead electrical transmission lines, planting of vegetation, and modification of neighborhood which required close monitoring for vibration damage to over 100 structures.